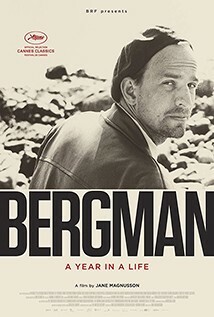 Journeying through 1957, the year Ingmar Bergman released two of his most acclaimed features (‘The Seventh Seal’ and ‘Wild Strawberries’), made a TV film and directed four plays for theatre. Bergman had an insane lust for life, stories he needed to tell, at a moment in the 20th century when a great many people got hooked on movies. During this time, he was ‘seeing’ a whole lot of different women, marrying three and fathering a pack of kids, none of whom he had much to do with. Director Magnusson does not shy away from Berman’s dark side, but goes in deep, talking to the kids, ex-partners, actors (including Barbara Streisand and Liv Ullmann), and professional rivals who both loved and feared the man. All presented alongside a fantastic selection of clips from his vast body of work.